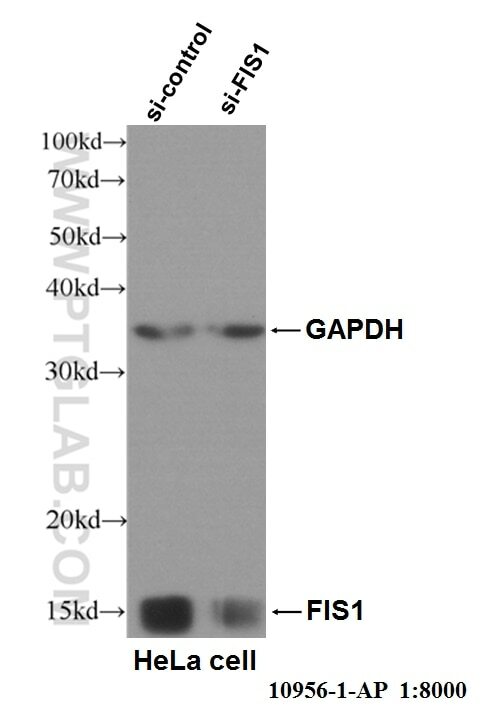 WB result of FIS1 antibody (10956-1-AP, 1:8,000) with si-Control and si-FIS1 transfected HeLa cells. 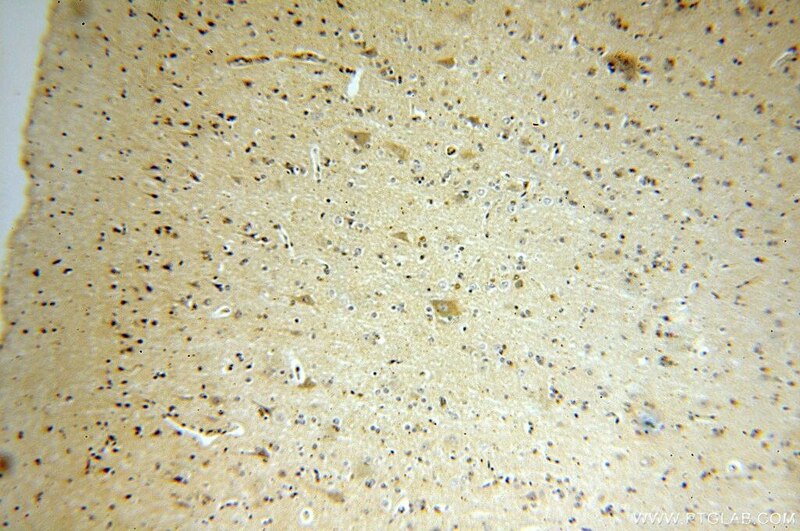 IF result of anti-FIS1(10956-1-AP,1:100) with Hepa1-6 cell by Dr. Steven Eugene Smith. 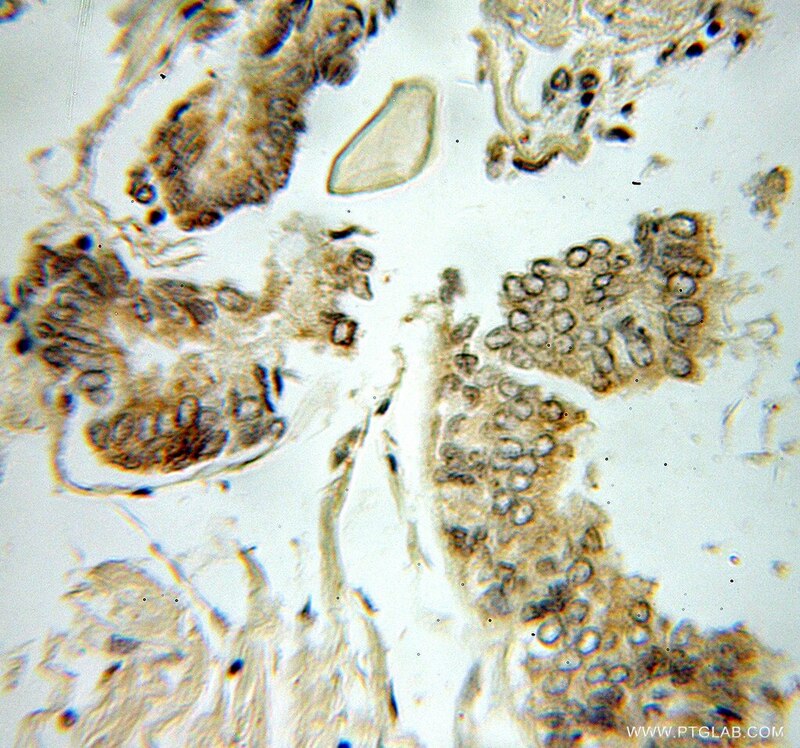 Mitochondrion outer membrane (Green) Stain. 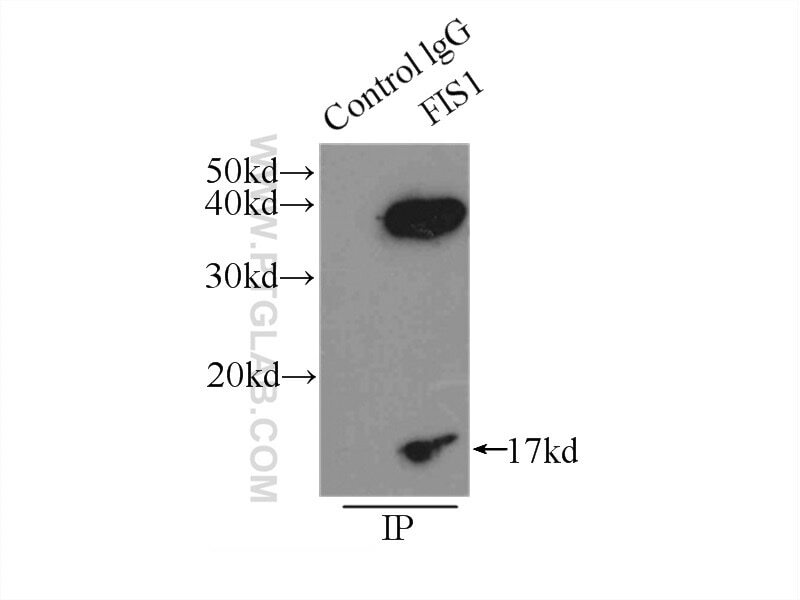 IP Result of anti-FIS1 (IP:10956-1-AP, 3ug; Detection:10956-1-AP 1:500) with HeLa cells lysate 3000ug. 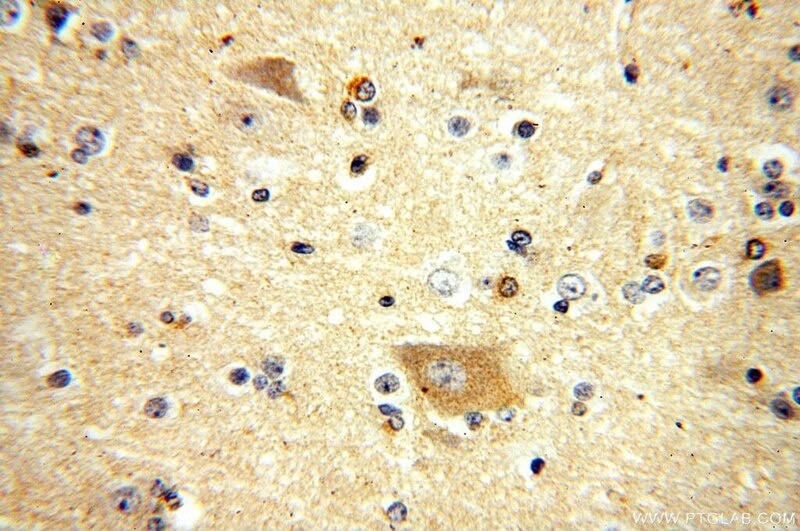 I got good results in both rat liver protein and H69 cells. AMPK/FIS1-Mediated Mitophagy Is Required for Self-Renewal of Human AML Stem Cells. 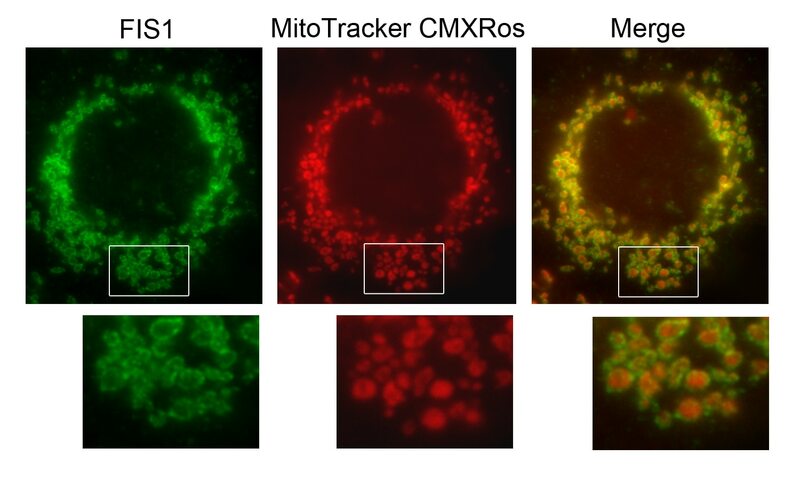 Mutations in Fis1 disrupt orderly disposal of defective mitochondria. The i-AAA protease YME1L and OMA1 cleave OPA1 to balance mitochondrial fusion and fission.